After establishing his reputation in Sarasota for ten years, his dream of opening a small, upscale yet inviting salon became reality. 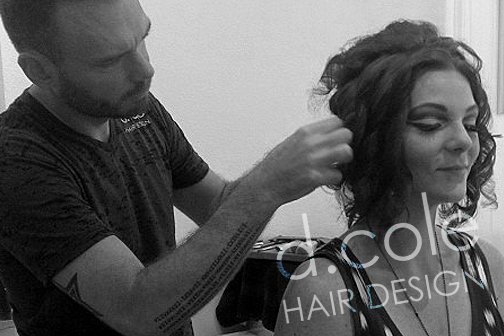 Dylonn believes the modern, positive, and high energy salon has greatly enhanced his creative outlook on hair design. From extremely cutting edge, to color so natural you would never know, Dylonn says versatility as a stylist is key. His specialties include creative and corrective color with Schwarzkopf color, high texture short cuts, and Great Lengths hair extensions. Brandon is back with the d.cole family after living in San Diego for a year. While living in San Diego, Brandon was hand’s on with all the new and latest hair fashions. Brandon is a graduate of the AVEDA institute of Saint Petersburg, Florida. ​Hair Coloring is a favorite for him and specializes in keeping it subtle and natural or going with a dramatic change. For haircutting, Brandon offers clipper cutting, shear cutting and razor cuts for both male and female. Brandon mastered his fading skills while he worked with many men in the military that needed the perfect fade. 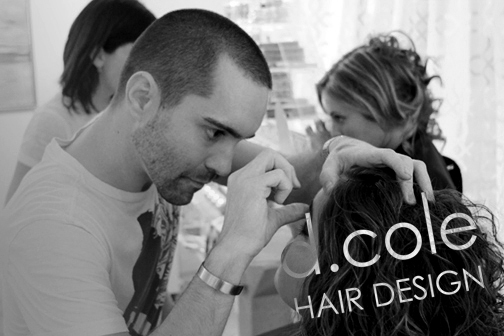 ​Brandon is also a pro with keratin treatments, eyebrow waxing, lip and chin waxing and eyelash tinting.